 National Gas & Oil Cooperative provides natural gas service to more than 35,000 residential and commercial members within a seven county area. This service is provided through a network of nearly 1,000 miles of distribution pipelines. We are committed to providing our members with safe and reliable natural gas service. Our pipeline replacement efforts focus on improving safety, reliability, and supply for our natural gas members. As part of a major initiative to install new pipeline infrastructure, we connected over 500 new members last year and installed more than 15 miles of distribution mains for new growth. Most of the new mains were installed in the Johnstown area as part of a five-year planned expansion. In addition, our infrastructure replacement initiative included over 11 miles of distribution mains, 270 service lines and 3,000 risers.